It helps to metabolise fat. Choline, Inositol, and group B vitamins. What is LipiDrol® Fat Burner? 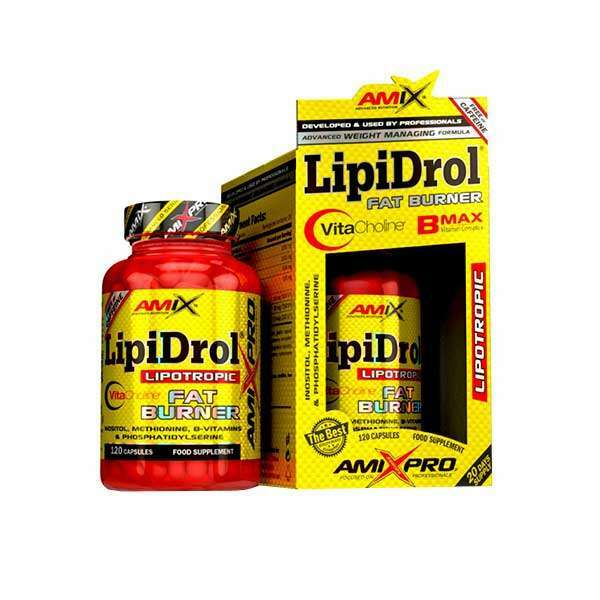 LipiDrol® Fat Burner by AmixPro is a food supplement that promotes weight loss in a efficient way and free of stimulating ingredients such as caffeine. 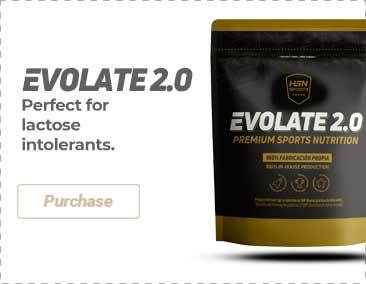 Its formula contains a revolutionary ingredient made of patented choline: VitaCholine™, along with other important ingredients such as Inositol, Metionina, and the very well-known phospholipid: Phosphatidylserine. It has been enriched with Vitamins of B group, which play an important role in fat conversion to energy, so that the formula is even more complete. Which are the properties of LipiDrol® Fat Burner? The formula contains VitaCholine™. It is an ingredient that gained recognition by the United States Pharmacopeia (USP) in 2012. Several studies conclude that 90% of people do not achieve adequate levels of choline through food (especially vegetarians) a factor that can have serious repercussions for health overall. A diet with low levels of choline can damage muscle tissue and lead to problems of fat accumulation in the organism, including the liver. Choline is an essential substance in order to carry out several functions, especially for prenatal development, cognitive functions, muscle maintenance and energy. It intervenes in the correct hepatic function and its role is to avoid fat accumulation in the liver, thus helping to mobilise it so that it can be used as energy. Another of its functions is to maintaing cell integrity, since it is part of the cell membrane. It helps to eliminate waste from the organism, for example homocysteine, an oxidant that is generated during normal cell metabolism. Choline is vital in order to produce energy for those who practice sport. It helps to optimise the synthesis of nitric oxide (NO), a factor that provides more nutrients to the muscles so that a more effective training takes place. It also intervenes in the control of motility and coordination. Along with L-Catinine, it helps to transform fat into energy. LipiDrol also includes inositol, which takes part in fat metabolism and avoids that they are deposited in the liver and, in this way, it favours their transport and penetration into the cells. It also contains Methionine, an essential amino acid (that the body cannot synthesise) and, as with choline and inositol, it intervenes in the fatty acids mobilisation to the cells in order to be used as energetic substrate, avoiding that the fat is deposited in the liver and arteries. Phosphatidylserine is a phospholipid present in soy lecithin. This ingredient helps to balance the levels of cholesterol and triglycerides. It provides elasticity to cell membranes and it protects them from the harmful effects of free radicals. It also intervenes in the entrance and exit of nutrients into the cells. Phosphatidylserine also improves cognitive functions. Due to its ability to reduce cortisol, it is benefitial to athletes after they train and to improve their recovery. Who can benefit from LipiDrol® Fat Burner? Those who want a food supplement free of stimulants which will help them to maintain a correct fat metabolism in order to improve their body composition. VitaCholine choline bitrate, inositol, gelatin capsule [pure gelatin of bovine origin, water, colour (E171 titanium dioxide)], L-methionine, emulsifier (E322 soybean lecithin), anti-caking agents (E460i microcrystalline cellulose, E470b magnesium stearate, E551 silicon dioxide), 50% phosphatidylserine (enriched with soybean Lecithin), nicotinamide (niacin), pyridoxine hydrochloride (vitamin B6), cyanocobalamin (vitamin B12). Take 6 capsules with 300ml of water 30-60 minutes before physical activity.